I commented to Tom (Black Mamba) in the Windjammer thread that motorboats aren't as photogenic as the windjammers. But here is a very photogenic 1940's Steel Clipper made by Inland Seas Boat Co. It is a steel hull on a wood frame. 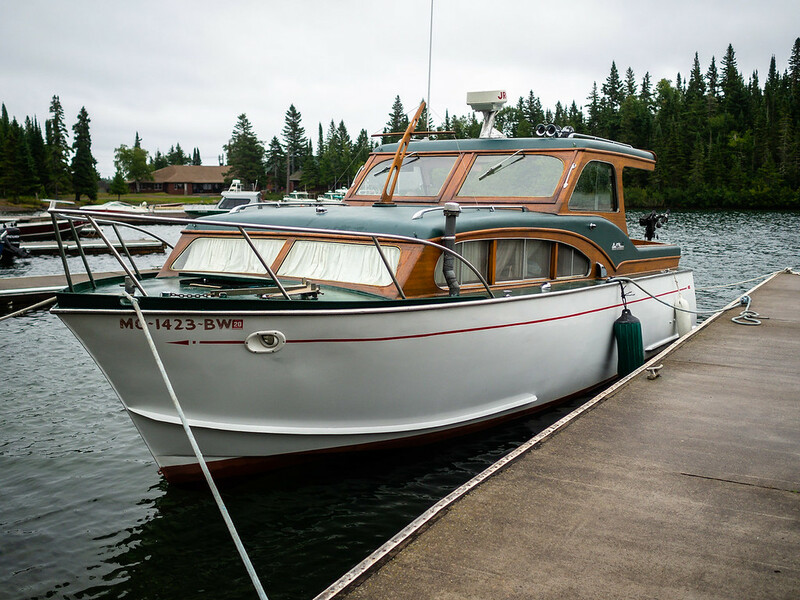 Iron Maiden was docked at Rock Harbor in Isle Royale National Park, Michigan a few weeks ago. First, I don't think your response post on the other thread went through, at least it doesn't show up on my system. While my taste run much more toward sportier, high performance boats, that interest is rooted in craft of the later '20s and forward. I've gone to a big wooden boat show held annually not very far north of Orlando. I break down into open lust when I see these stunning old speedboats. The knowledge and skills necessary to bring these things back to better than new is deserving of hero status in my book. You're right, the response was still sitting there unposted. I've seen some boats like those you are describing on Lake George in NY. These days living in Maine I'm more into boats that work for a living, like lobster boats but the windjammers are fun. I also see them individually when they pass by on tourist cruises.